White Wolf : The first baby born at Standing Rock is a blessing for the 'water protectors'. 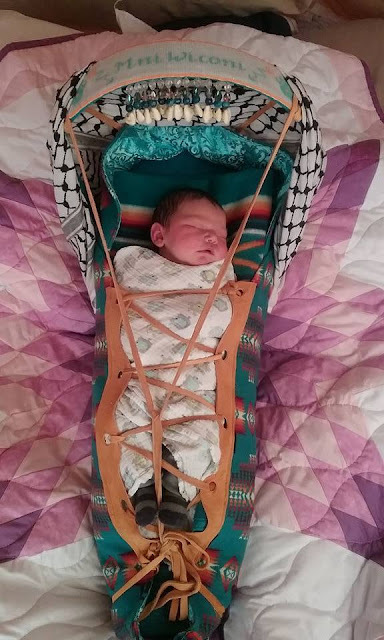 The first baby born at Standing Rock is a blessing for the 'water protectors'. First baby born on the banks of the Cannon Ball River into the arms of the birthing mama. What a beautiful blessing for the water protectors and camp. Thousands of people have flocked from across the United States, Latin America and Canada to join the resistance camps opposing the construction of the $3.8 billion Dakota Access pipeline. Most are Native Americans representing hundreds of tribes from across the Americas. The ongoing encampment is considered one of the largest gatherings of Native Americans in decades. People have set up multiple kitchens, a school that teaches Lakota languages and other subjects, and medical services to care for the thousands who come to join the resistance to the pipeline. On Monday, a group of indigenous midwives posted online that the first baby was born in the camp. When Democracy Now! was in Cannon Ball, North Dakota, this weekend, we spoke with women and midwives about the importance of reproductive healthcare at the resistance camps. The Cannonball River (Lakota: 'Íŋyaŋwakağapi Wakpá' is a tributary of the Missouri River, approximately 135 mi (217 km) long, in southwestern North Dakota in the United States. It rises in the Little Missouri National Grassland, in the badlands north of Amidon in northern Slope County. It flows ESE past New England, Mott, and Burt. It is joined by Cedar Creek approximately 15 mi (24 km) southwest of Shields and flows northeast, past Shields, forming the northern border of Sioux County and the Standing Rock Indian Reservation. It joins the Missouri in Lake Oahe near Cannon Ball. The cannonball concretions found in the vicinity of this river are the source of its name. 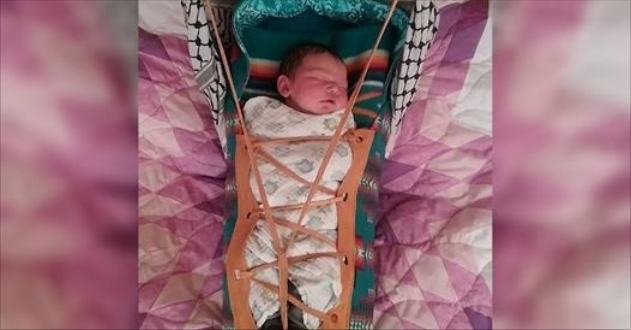 Responses to "The first baby born at Standing Rock is a blessing for the 'water protectors'." She brings hope and renewal to all the nations that are waking up and taking responsibility for and caring of Our Earth Mother. Have they had the naming ceremony for this baby yet? What do they call her? Tsi ge yu i, little one. Welcome to the world. Blessings upon you. Blessings to those who love you and to those who will grow to love you. May you always walk softly. May your words always be strong and pure. What a blessing! Welcome child, human, woman, protector. welcome to the world small one may you grow in life to be a great lady. Blessings on you and your new daughter and your family. It is such a joy to know that this beauty is happening in the middle of the war on your people. You are all deeply embedded in my heart. sweet prayers an blessing to you. Welcome little one. Your arrival brings hope and blessings to your family and a brighter future for all. For you are the new generation to lead us forward.